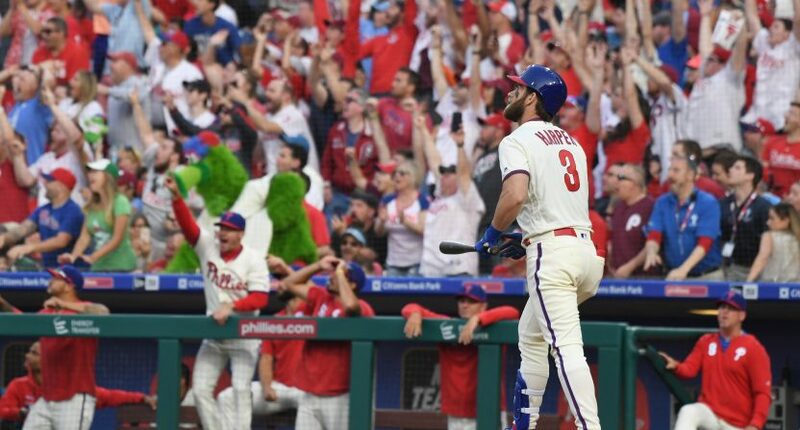 In his second game with the Philadelphia Phillies, Bryce Harper hit his first home run (after signing a 13-year, $330 million deal over the offseason), and it was no cheapie. Harper annihilated a fastball from the Atlanta Braves’ Rocky Biddle, and sent it 465 feet — with 113.7-mph exit velocity — to the second deck in right field at Citizens Bank Park. Bryce Harper's first HR with the Phillies is his 2nd-longest HR tracked by Statcast, at 465 ft. The Phillies would go on to win 8-6, and are 2-0 in the Bryce Harper era.